What’s great about the Power Generation Modules project headed by [Cole B] is the focus on usability and modularity. The project is a system for powering and charging small devices using any number and combination of generator modules: wind turbine, hand-crank, and water turbine so far. Power management and storage is handled by a separate unit that acts as a battery bank to store the output from up to six generators at once. There’s also a separate LED lamp module, designed to be capable of being powered directly from any of the generator modules if needed. The hand crank is straightforward in concept, but key to usability was selecting a DC gearmotor with a gear ratio that made cranking by hand both comfortable and sustainable; too weak of a crank and it’s awkward, too hard and it’s tiring. The wind turbine has three compact vanes that turn a central shaft, but testing showed the brushless motor it uses as a generator isn’t a good match for the design; the wind turbine won’t turn well in regular wind conditions. 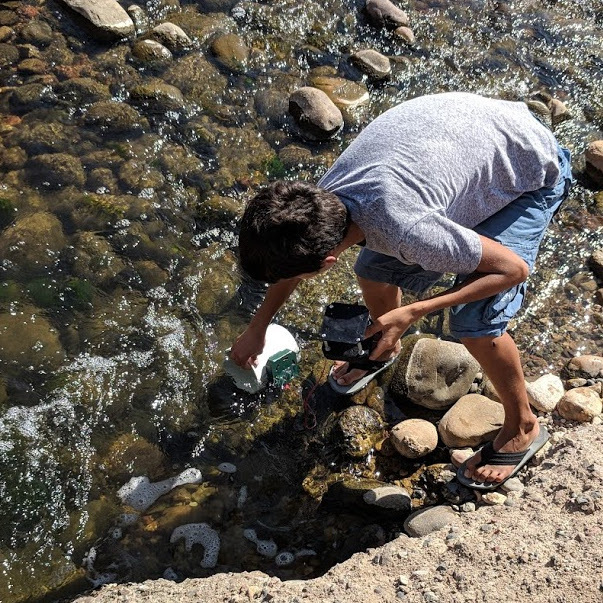 The water turbine prototype showed great success; it consists of an epoxy-glazed, 5 inch diameter 3D printed propeller housed in a section of PVC pipe. The propeller drives a brushless motor which [Cole B] says easily outputs between eight to ten volts when testing in a small stream. The team has plans for other generators such as solar, but this is a great start to an array of modules that can be used to power and charge small devices while off the grid. We’re happy to see them as a finalist for The Hackaday Prize; they were selected as one of the twenty projects to receive $1000 cash each in the Power Harvesting Challenge. The Human-Computer Interface Challenge is currently underway which seeks innovative ideas about how humans and computers can interface with one another, and twenty of those finalists will also receive $1000 each and be in the running for the Grand Prize of $50,000. LED technology has improved by leaps and bounds in recent years, with what was once considered unachievable being common place now. Two of the main parameters of interest, total input power and conversion efficiency have been steadily increasing over the years. An efficacy of 120 lumens/watt is fairly common nowadays, and it may not be improbable to expect double this figure in the near future. Input power ratings have also steadily increased, with single LED units capable of 100 W or more becoming common. But the Chinese manufacturer Yuji seems to have hit the ball out of the park by introducing their BC-Series, 500 W, high CRI, high Power, COB LED. Single, 500 W COB LED’s are not new and have been available since a couple of years, but their emitting surface areas are quite large. For example, a typical eBay search throws up parts such as this one – 500 W, high Power LED, 60,000 lm, 6000-6500K. It has a large, square emitting area of 47.6 x 47.6 mm. By comparison, the Yuji BC-Series are 27 mm square, with an active emitting area only 19 mm in diameter. This small emitting area makes it easier to design efficient reflector and/or lens units for the LED. Luminous Flux is between 18,000 to 21,000 for a color temperature of 3200 K, and between 20,000 to 24,000 for the 5600 K type. Further, this high power rating is accompanied with a pretty high color rendering index (CRI) above 95. This allows the LED to faithfully reveal the natural colors of objects due to its wide spectrum. Electrically, it is rated for 12 Amps with input voltage between 35 V to 39 V. This translates to between 420 W ~ 468 W of input electrical power. Some quick math tells us that the efficacy efficiency works out to just a little over 50 lm/W, which isn’t all that great. But with light sources, you can have high-efficacy high-efficiency or high CRI, but not both – that’s just how the physics of it works. At US $ 500 a pop, these eye blinders do not come cheap and may not find much use for individual hackers. But for some applications, such as studio and theatre lighting or photography, they may be just what the Doctor prescribed. In the video after the break, you can see [Matt] from DIY Perks give a rundown of the LED’s features and take it for a test ride. Gavin Morris has been working on his awesome sound responsive LED sculptures for a while. Technically the sculpture is an interesting application of WS2812 RGB LEDs, Raspberry Pis and a load of styrofoam cups and flower pots. However the artistic development, and inspiration for this project is equally interesting. Gavin shares his thoughts and a brief technical description of the project below. If you’re looking for a super cheap way to add LED lighting accents to your house, then this hack is for you! Corn-cob style LED light bulbs can be had for a few dollars. The bulbs include driver circuitry, and 8 LED arrays! All you have to do is take it apart. [Martin Raynsford] stumbled upon this idea when trying to think of a way to light his laser engraving enclosure. It originally came with a regular light bulb, but it didn’t distribute light nicely and was in the way for some of his other planned upgrades. Not wanting to add another DC power supply to the mix he remembered an old corn-cob LED light bulb he had — as it turns out, they’re pretty easy to take apart! Solder some longer leads on (take note of how they are wired, some are in series, some in parallel) and you’ve just made yourself some easy to use LED accent lighting! Of course you could just buy those cheap LED rolls from China nowadays for next to nothing for your accent lighting. [Hazim] wrote in to tell us about his project that teaches inconsiderate drivers a lesson! Well, theoretically. The LuxBlaster is a spot light which points towards the most intense light source. The idea is that you can blast drivers who do not turn their high-beams off with a reverse high-beam of your own. It is very important to note that this should never be used, as [Hazim] also clearly states. While this project is meant to prove that it can be done (a “what if”) project, it has two components that are very well done and can easily be used in different projects: the Arduino controlled spotlight and the light intensity tracker. What would you use an Arduino controlled spotlight for? Smart lighting? What about a light source tracker? Let us know in the comments. With the recent announcement and release of their ADK, it was only a matter of time before Google started invading your home in a big way. From the looks of it, Google will be jumping into the home lighting market very shortly, which could prove to be quite interesting. 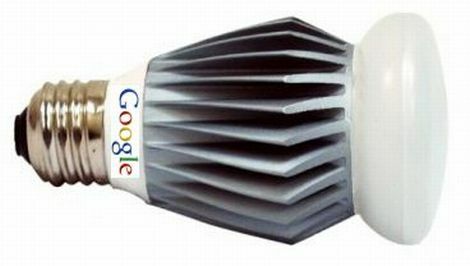 Partnering with Florida-based Lighting Sciences, Google is planning on developing consumer-grade 60W equivalent smart LED light bulbs. The bulbs will be able to wirelessly communicate using Google’s new open-source home networking protocol. The lights will be controllable using any Android device allowing users to dim, brighten and toggle the lights on and off without ever touching a wall switch. We think it’s an interesting idea, and we’re all for getting quality LED lighting in the home. That said, some of Google’s other utility-centric endeavors such as PowerMeter have met only mediocre success, so it remains to be seen if this concept takes off. If it does however, we can’t wait to see the flood of ADK-based hacks the community puts together. Since their new wireless protocol will likely be extended to all sorts of other household systems, the possibilities are endless. In response to last week’s post about parts scrounging with a heat gun, Hackaday forum member [BiOzZ] decided to try doing the same thing in his oven. It seems to work quite well, but we’re wondering if there should be any concerns over the lead content of the solder. Anyone care to chime in? Have you ever been in the midst of disassembling something and knocked over your container full of screws onto the floor? [Infrared] has a simple solution to the problem which also happens to keep a couple of plastic bottles out of the landfill. Do you often repeat a word ad nauseam? Make author Matt Richardson does, and he hacked a Staples “Easy” button to help him break his addiction to the word “Awesome”. [Sean] scored a pair of LED deck lighting kits for a steal and decided to install them into his newly renovated kitchen. They are currently remote operated, but he plans on adding an X10 interface as well as PIR sensors for automatic triggering in the near future. It starts with a finicky backlight, or perhaps a high-pitched whine from the back of your display – by now, we’re sure that everyone knows the symptoms of an LCD panel that’s just about to die. [Eric’s] Syncmaster recently quit on him, so he pried it open and got busy recapping. It’s running again, and he wanted to share his repair process in case others out there own the same display.